Vernon Corea wrote beautiful 'Prayers for Autism' in 2002 Autism Awareness Year. These prayers are now being used by churches of all denominations all over the world during Autism Awareness Week. 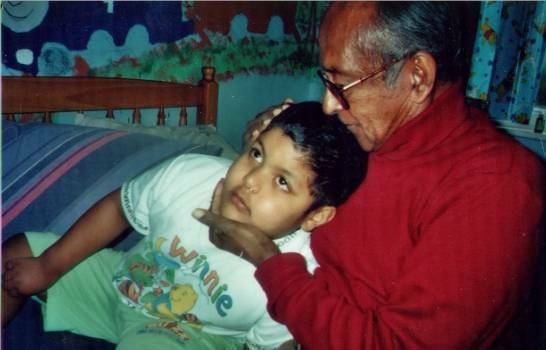 Vernon Corea wrote prayers for Autism to mark Autism Sunday on 6th January 2002. These prayers are now being used by churches of all denominations around the world during Autism Awareness Week. Churches remember all people with Autism and Asperger's Syndrome. 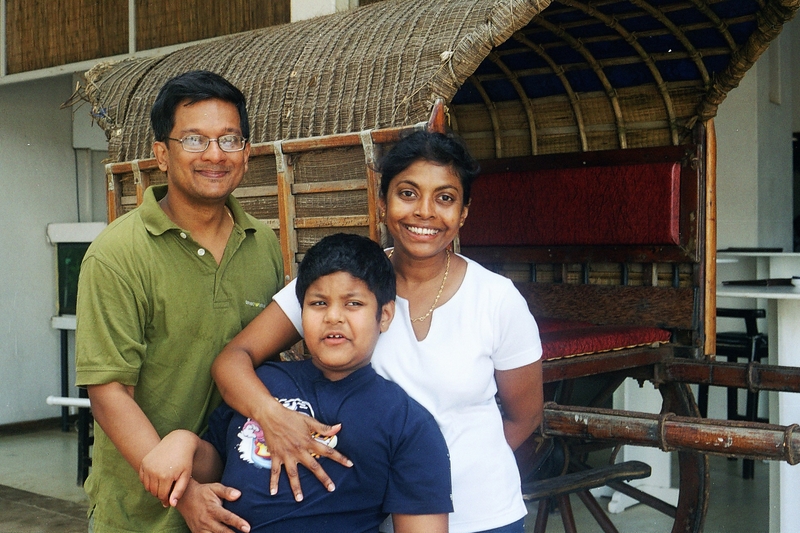 Autism Sunday was an idea shared by Vernon's son and daught-in-law, Ivan and Charika Corea - they initiated 2002 as Autism Awareness Year and launched the Autism Awareness Campaign. 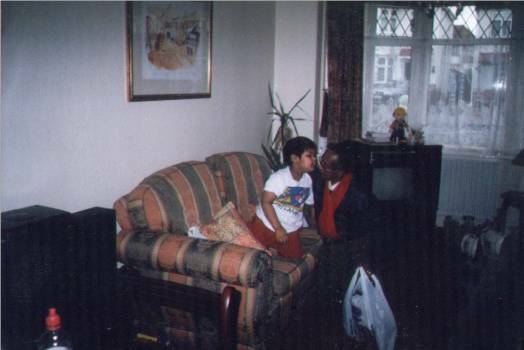 Vernon was a passionate supporter of the campaign in the UK because of his grandson, Charin, who has autism spectrum disorder. Vernon wrote to key people, he lobbied others in his efforts to support the Autism Awareness Campaign. He wrote these prayers for Autism Sunday - services were held across the UK by churches of all denominations and Christians remembered the 520,000 autistic community in prayer, they prayed for breakthroughs for people with autism. Autism/pervasive developmental disorder refers to a whole group of disorders characterised by delays in the development of multiple basic functions including socialisation and communication. Symptoms of PDD include severe communication problems such as understanding language; difficulty to relating to people, objects and events, unusual play with toys and other objects; difficulty with changes in routine or familiar surroundings and repetitive body movements or patterns. Autism, the experts suggest, is a brain disorder characterised by impaired social interaction and communication skills and limited activities and interests is the most characteristic and best studied PDD. Other types of PDD are Asperger's syndrome, Rett's Syndrome,childhood disintegrative disorders and others. Autism is a neuro- developmental disorder - all of us have neurones in our brains to process thought,they need to fire in the correct order - in the brains of an autistic child or adult they don't fire at all or they just misfire. That is why you cannot give an autistic child complex commands.Everything has to be kept well and truly simple. As in other parts of the world, including the United Kingdom, parents, carers and autists are struggling to access public services in health, education, specialist speech therapy and respite care. They say there are 38,000 autistic people in the land of Vernon's birth - the island of Sri Lanka.Thousands of autistic children are kept at home without any access to education. There are issues of culture and autism is also confused with mental illness. Medical and education professionals need training in autism. There are children who remain undiagnosed. There is a lack of awareness of autism in the provincial towns and villages. Vernon attended the historic debate on Autism to mark 2002 as Autism Awareness Year in the House of Commons in Westminster Hall in the Palace of Westminister in London. The Autism debate was initiated by the distinguished parliamentarian Linda Perham MP. She spoke with passion about the lives of autistic people, the hardships, the lack of public services and she spoke in the House of Commons about Charin, Vernon's grandson - when Vernon heard this he was moved to tears. After this historic House of Commons debate, Vernon met with Linda Perham MP and the representatives of most of the key organisations who had anything to do with autism in the UK, outside parliament. He told Linda Perham how grateful he was that she had launched the most successful debate on Autism in parliament - it was supported by parliamentarians of all parties. Vernon also attended the first ever Service for Autism held at St.Paul's Cathedral in London on 10th February 2002. Over 600 people attended this historic service including autistic children and adults. It was a very moving service and Vernon felt very a much a part of it. These prayers, written by Vernon Corea, were used by churches of all denominations, across the United Kingdom on Autism Sunday. To teach us and forgive us. And give them Your peace. I ask you to help me. You have already helped me in many ways. I like to draw, to watch TV. At home and in school. And all those who are helping me.